Have you been through a tough time in your life? Do you have a story to share of God's faithfulness in the valley? We are looking for you! Big A and I have been on a difficult journey of faith these past few years. One unlike any other we have ever been on. Having been in ministry for 10 years now, we have told many people to "trust in God" when going through a trial, tragedy or tribulation. We meant it everytime, but boy do those three little words take on a whole new meaning when you have nothing to hang onto but God himself. And though I would never wish what we have been through on anyone and would never want to do it again or wanted to do it in the first place, God has brought me to a place where I can honestly say that it was worth it - to encounter the God that we had heard about...the God that we had read about...the God that we had hoped for, longed for...the God that we had believed in. We have met him face to face. We have seen him in action. We have chosen to find joy in the journey. I began the new year on a quest for joy, making it my 2012 word, intentionally striving to find joy in all things, regardless of my circumstances, knowing that true joy is found in Christ alone. God has done incredible things through my search and has given me the vision to write an ebook filled with not only our story, but the stories of 11 other women who have been through some of the toughest, darkest times in their lives and yet stand here today to testify that through it all they have seen the face of God and him glorified. I enlisted my friend Mary Jo of 517 Creations to do the design work. She is also a contributing writer. This is the cover that she is working on, although we will be having a blog survey soon to let you help us decide on the final design. I am truly humbled that God is allowing me to be a small part of this great work of his. He is writing a story in each one of our lives. He is revealing himself in ways that are undeniably him. He is the main character in his story. He gets all the glory. Which leads me to you...do you have a God story to tell? 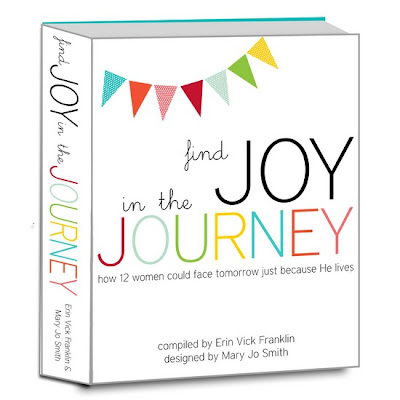 We are hosting a "Share Your Story" contest to find 1 more woman to contribute her story to our "Find Joy in the Journey" ebook! Is it you? To enter our contest, simply send your story to worthyoftheprize.erin@yahoo.com! -Your story must be about a time in your life when you went through some sort of struggle, whether it be an adoption journey, the death of a loved one, divorce, job loss, financial stress, an illness or any other trial, tragedy or tribulation that you have encountered. -There is no word count limit, however you must tell the full story that you want to tell with specific details of the struggles and most importantly of how God revealed himself and was exhaulted through it all. -You must also send a picture of you or your family, as well as the link to your blog if you have one because these will also appear in our book should you win. -You must send your story by Saturday, May 5th, 2 weeks from today. -Mary Jo and I will choose 1 winner. However, if we receive more than one fabulous story, we reserve the right to choose more than 1 winner and include more than 12 stories in our ebook! I will work with the winner to edit their story and create a final draft. Every person who sends us their story, by the deadline, will receive 1 FREE Fit Band of their choice. The winner and their story will be featured in our "Find Joy in the Journey" ebook, which will debut Summer 2012. Check back Saturday, May 12th, 3 weeks from today, when we announce our winner. You will have the chance to enter another fun giveaway at that time! Because He lives I can face tomorrow. Because He lives all fear is gone. Because I know He holds the future. Well, I just discovered your blog, so I missed the contest. But I cannot wait to read the book! It is so good to share stories of our Lords Power and Faithfulness. Thank you for sharing all these printables. I am an older person who has not yet learned to do this for myself. And I am thrilled to find such adorable things to print. Find Joy in the Journey, I say it all the time. Thanks again for your faithfulness and your generosity. God loves these things.